Today, 12 April 2019: Lucasfilm finally reveals the official title for Star Wars Episode IX which will officially be called Star Wars: The Rise of Skywalker alongside a brand new trailer showcasing what’s to come. 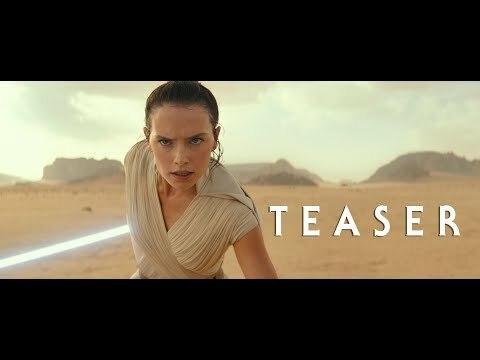 The trailer showcases Daisy Ridley‘s Rey standing in the desert with a narration of Luke Skywalker (Mark Hamill) telling her ”we’ve passed on all we know” and that the upcoming battle is her fight alone. A vehicle aggressively hovers toward Rey before she begins sprinting ahead of it and diving face-first toward its cockpit with her lightsaber in tow. The film will be directed by J.J. Abrams, who kicked off Disney’s Star Wars efforts with The Force Awakens back in 2015. According to Abrams, the new installment takes place sometime after Rian Johnson’s The Last Jedi, in which Leia Organa’s Resistance movement was forced on the run and battered by the First Order. That film also saw the death of Luke Skywalker after a showdown with his nephew, Kylo Ren, who also killed the leader of the First Order, Supreme Leader Snoke. 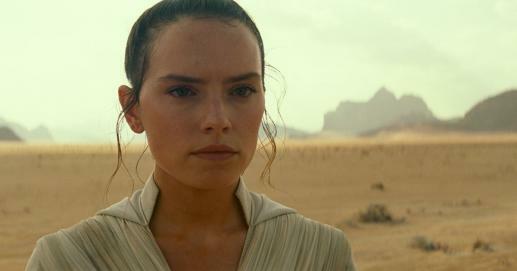 Check out the trailer below and catch Star Wars Episode IX: The Rise of Skywalker when it hits theaters in December.